Gareth Bennett AM. Picture by the National Assembly (CC BY 2.0). Anyone who visited the Eisteddfod in Cardiff Bay this week would have been forgiven for thinking that Welsh civic, sporting and cultural identity were thriving. It was no doubt the best attended Eisteddfod ever, and the most inclusive, with every class and a diverse mix of ethnic and cultural groups present among the stalls in what used to be Tiger Bay. The doors of the Senedd were thrown open, with as many as 600 visitors a day getting the chance to have their picture taken in the main chamber. Thousands saw Tour de France winner Geraint Thomas ride through a sea of Welsh flags. If there was any kind of political agitation on the Maes, it was for independence. Banners were unfurled during gigs, YesCymru Radio broadcast for the first time, and an event to discuss the way forward towards independence by Nation.Cymru attracted a crowd of over a hundred. 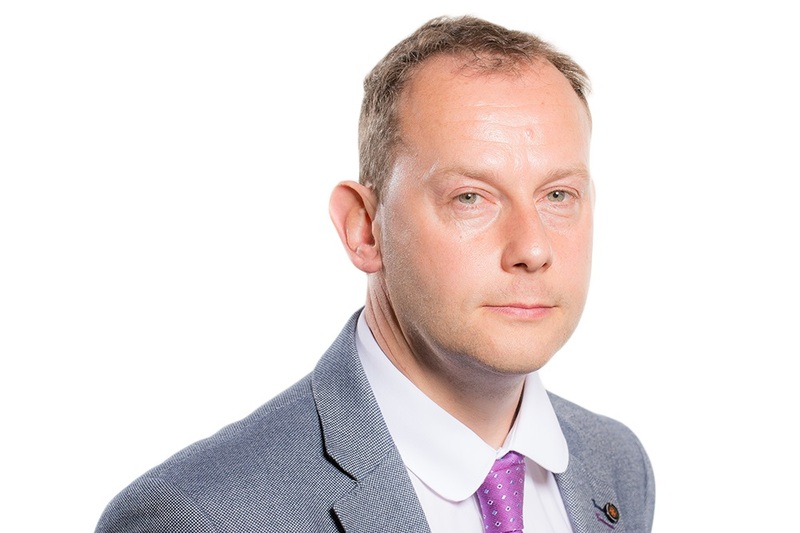 And late in the afternoon news eked out to the Maes that Gareth Bennett, who wants to abolish Welsh devolution altogether, had been elected UKIP leader. We should not overstate the depth of feeling that led to the election of Gareth Bennett. He won the UKIP leadership with 269 votes. He has a smaller mandate than many county councillors. UKIP in the Welsh Assembly may simply break down due to infighting, with their few remaining Assembly Members leaving the group. Devolution also remains overwhelmingly popular in Wales. According to the latest BBC/ICM poll on constitutional preferances, 88% of Wales’ population wants to keep the Assembly. Despite this, Bennett’s election as UKIP leader is a dangerous time for devolution. This is mostly because, even after 20 years of devolution, many of its adherents remain remarkably complacent about it. There has been an acceptance that devolution is a process rather than an event but the tendency has been to think that it can only accelerate one way. As a result, little has been done to fix some glaring problems with devolution. The biggest of these is probably a failure to strengthen Wales’ public sphere alongside its political institutions. A great deal of ignorance remains in Wales about what the Welsh Assembly and Welsh Government actually do. A BBC/ICM poll in 2014 showed that less than half the population of Wales know that they are responsible for the Welsh NHS, for instance. Readers in Wales remain largely dependent on British media for their news – media that pay very little interest in what goes on in Wales. And when when they do watch BBC Wales or read Wales Online, news about the Assembly or Welsh Government is very seldom given the kind of prominence that Westminster gets in British news. This lack of public knowledge about Welsh devolution makes it particularly prone to an anti-establishment, populist movement, in the same way that Vote Leave took advantage of people’s misconceptions about the European Union. Add to this that the media has shown itself completely incapable of resisting the normalisation of UKIP’s narrative of hate. You can be sure that Gareth Bennett’s viewpoint will now be presented as one side of a balanced debate, and as part of the wider Brexit anti-establishment narrative. Brexit is ultimately a project not just to draw power back from the EU but also to re-centralise power within the UK as well. The right-wing tabloid press, who seldom seem to realise that Wales exists, will be all too keen to provide Bennett with a platform to eschew his anti-devolution views. Anti-devolution sentiment will no doubt grow in Wales, for the same reason anti-EU sentiment spiked in the run up to the EU Referendum. One would hope that the Welsh Government, in particular, will now spot this danger and take steps to bolster devolution. But with its decision to hand back powers to the UK Government, the Labour Welsh Government has already indicated that it doesn’t really have the stomach for this fight. It needs to realise that Labour faces an existential crisis – the loss of its last electoral fortress in the United Kingdom. While each of the pro-devolution parties need to act, there is also a role for the growing movement coalescing around the drive for independence to take this threat to devolution seriously. While dreaming of the sunny uplands of independence, we cannot become complacent and lose sight of the fragility of what we already possess.